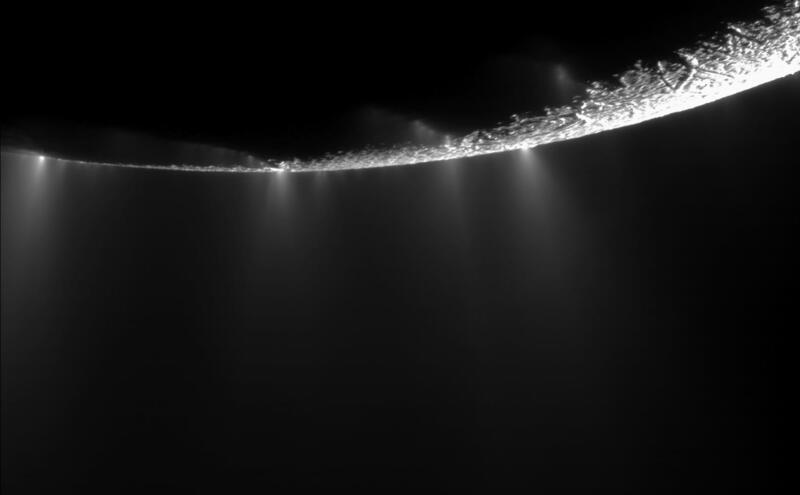 Dramatic plumes, both large and small, spray water ice out from many locations along the 'tiger stripes' near the south pole of Saturn's moon Enceladus. The tiger stripes are fissures that spray icy particles, water vapour and organic compounds. More than 30 individual jets of different sizes can be seen in this image, which is a mosaic created from two high-resolution images captured when Cassini flew past Enceladus and through the jets on 21 November 2009. This view was obtained at a distance of about 14 000 km from Enceladus.